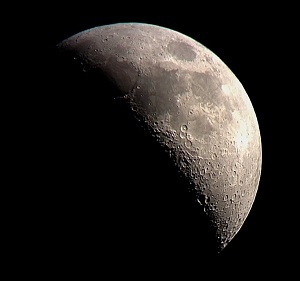 The May Observing List motivated me to catch M53 for a second time, and M94 for my first time. 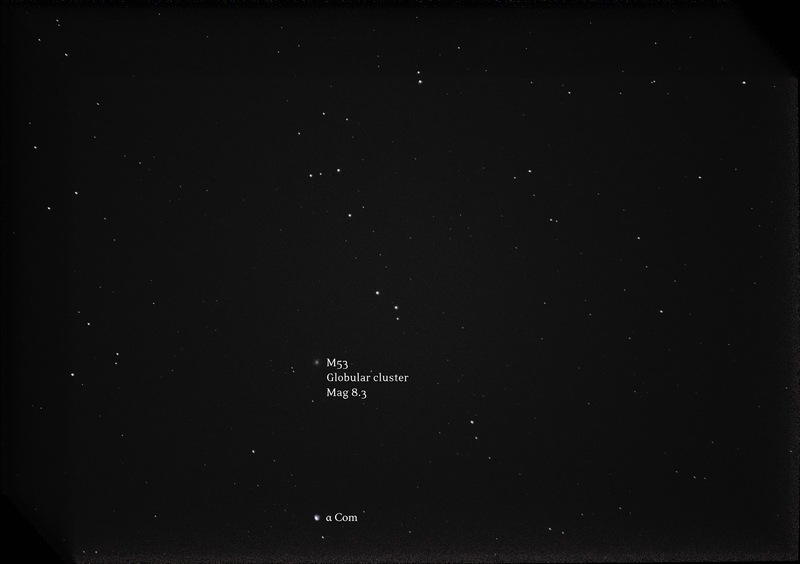 Just like last time, I used α Com just below M53 as an anchor star to help me compose my shot in a way that would let me take multiple photos back to back while keeping the blob in frame. 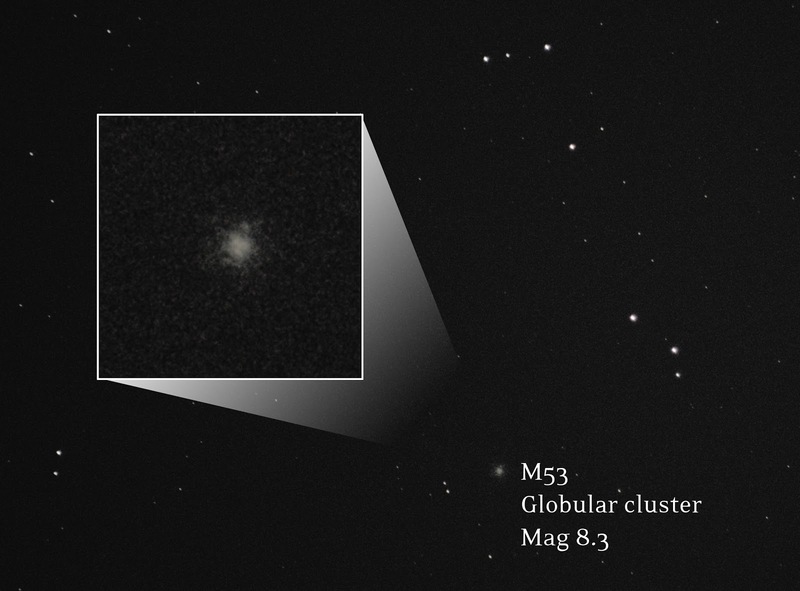 M94 was new to me, but I located it without much trouble. 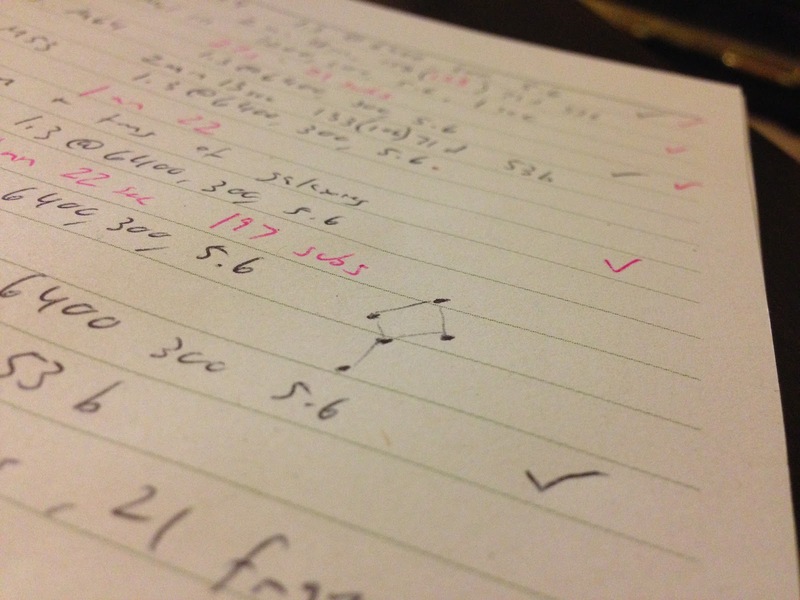 There is a small asterism (6 stars, each around mag 8.5) only 1° from M94 that looks like a kite or a magnifying glass. Composing my shot based on this asterism made it much easier to ensure M94 stayed in frame while taking multiple photos back to back. 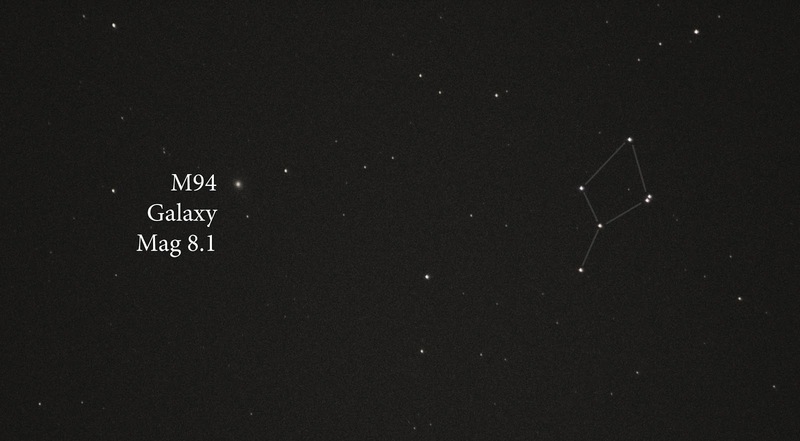 M94 brings my Messier total to 63 objects!